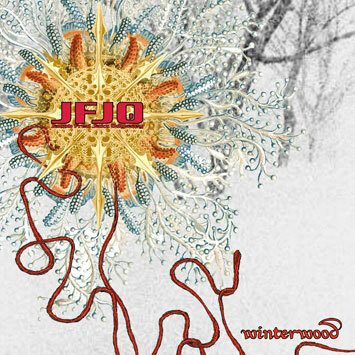 JFJO releases new studio album 'Winterwood' as Free Download! 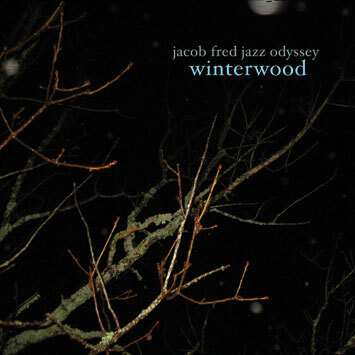 Following a year that found the band winning a Guinness Cork Award and playing at Newport Jazz Festival & Lincoln Center, Jacob Fred Jazz Odyssey is excited to announce a special gift for their fans to kick off 2009 & their 15th anniversary. As a thank you to all of the music lovers who have helped make the odyssey possible, JFJO is offering up a FREE DOWNLOAD of their New Studio Album entitled 'Winterwood.' The album marks Reed Mathis' last appearance with the band. Visit JFJO.COM to download the album now. Entering the 15th year of JFJO's legendary existence, the new lineup of Haas/Raymer/Combs/Hayes travels west in February for a tour stretching through California, Oregon, & Washington before finishing in Colorado, beginning what promises to be another year full of world touring and musical evolution. Jacob Fred Jazz Odyssey is very pleased to announce the band's 2009 lineup. The odyssey continues with Brian Haas ..s, Josh Raymer on drums, and proudly introducing Chris Combs on guitar & lap steel and Matt Hayes on bass. A supplemented version of this lineup made its debut on New Year's Eve to an elated sold out crowd in Tulsa Oklahoma. The core quartet lineup of Haas/Raymer/Combs/Hayes will make its debut this coming Saturday, January 10th @ Kenny's Castaways as part of the 2009 NYC Winter Jazz Fest! JFJO would also like to wish their best to founding member of 15-years, Reed Mathis, as 2009 will find him exploring other musical endeavors. JFJO has a handful of dates in January, returning to old haunts like Denton, Fayetteville, and Kansas City. February will then find the quartet on a full West Coast tour brought to you by Aurora Innovations, beginning what promises to be another year full of touring & musical evolution. Sat. Feb. 14th - Arcata,CA - 'Warm & Fuzzy' pajama party!